Sooooo...the world didn't end in 2012! I choose to celebrate that fact by working hard to make 2013 the best it possibly can be. Every year on December 31, I look back on the previous year. My life this year really isn't that different than it was a year ago, with the exception of my job. And that's ok! Some changes take time to soak in! And, though I love my life and have worked hard to make it exactly what it is, I'm ready to make it different. I'm ready to give myself permission to BE different. That's my goal for 2013: BE DIFFERENT. I want to eat different foods and do different things. I want to have different experiences. I want to take different chances. They don't have to be permanent changes, in fact, I suspect most won't. But having the motivation and guts to BE DIFFERENT...that's significant for me. So, here's to 2013. Here's to being different. Here's to taking risks and not being afraid to fail, or to succeed. Here's to continuing to define and refine myself and my life. And, here's to you. I love you guys. I know LJ is becoming less in many people's lives, but I'm still here, and I still am so grateful for everything, and everyone, this medium has brought into my life. 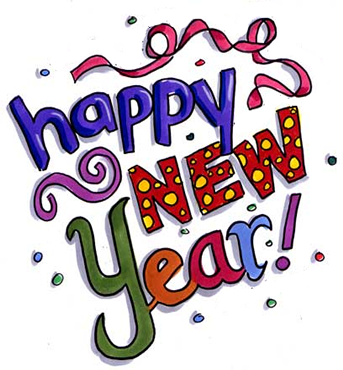 I wish you all nothing but peace, joy, and happiness in 2013. It's within all of our power to make 2013 amazing, LET'S DO THIS.